I’d hardly call this a recipe because it is so simple! But indeed it is a recipe for greatness, and it’s time to share it with you! It tastes like a warm and creamy vanilla milkshake, for real! It’s so frothy and delicious. 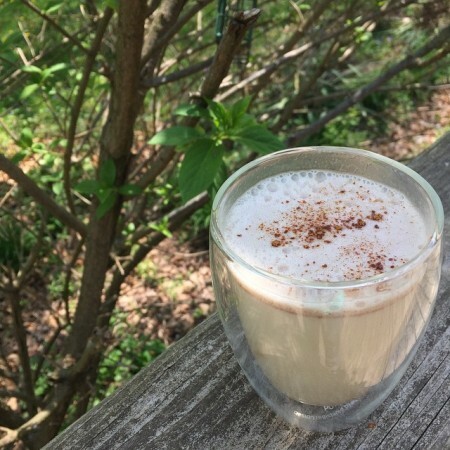 I am a Bulletproof Coffee fan, for life. But I am also trying to figure out what my brain needs to function optimally and stay focused throughout the day. After reading the famous book “Healing ADD” by Daniel Amen, I understand that coffee may not be the best choice for my morning routine. Here and there yes, but not daily. Sooooo, I had to start toying with my green tea and make it “Bulletproof” too!.. 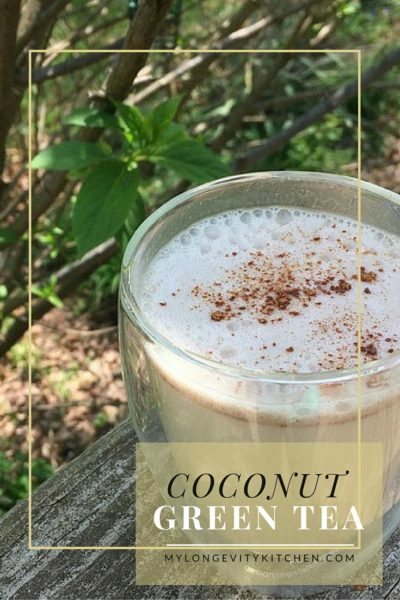 I use coconut oil for the satisfying fats and MCT’s (medium chain fats that are good for the brain and metabolism), protein powder because most distracted brains thrive on higher protein and lower carbs (this is especially important earlier in the day to boost your focus and concentration skills), and often add in Bulletproof Brain Octane Oil for added brain boosting power. This combo of healthy fats and protein provides you with a power breakfast that’ll hold you over for hours into your day! And I still get to keep my morning routine. I don’t miss the coffee one bit! Caffeine makes you feel more focused but unfortunately it also decreases blood flow to the brain–and over time can make ADD symptoms worse. Green tea is a better choice than coffee because it contains less caffeine, and more importantly, green tea contains Theanine and EGCG which both benefit the brain in many ways. 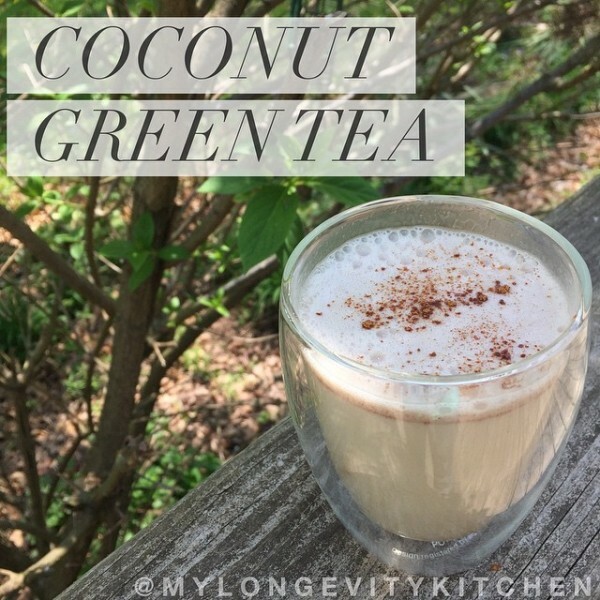 Blend together hot organic green tea with nourishing coconut oil, and vanilla protein powder for a nutritious and brain-boosting breakfast alternative. Using a blender, BLEND together the HOT GREEN TEA and the COCONUT OIL first. Touch the mixture with your finger to test the temperature. If its too hot to touch then it needs to cool a little longer before you add the whey protein powder (to avoid damaging the nutrients). Once it's at a temperature you can touch comfortably, add the protein powder and cinnamon. Blend again. Enjoy! Whey Protein Powders: All protein powders have different measurements and different levels of sweetness. I use Reserveage Vanilla or Primal Fuel Whey Protein and put 2 Tablespoons in my coconut green tea recipe. Terra's Grass-Fed Vanilla Bourbon Whey is also great, but you will have to double the quantity (4 Tablespoons). Do you have another brand? If so, start with 2 Tablespoons, and taste to decide if you need more. See my full list of recommended protein powders above. Happy sipping!